Duck Noodle Soup (Mì Vịt) Roasted duck with egg noodles and vegetables. 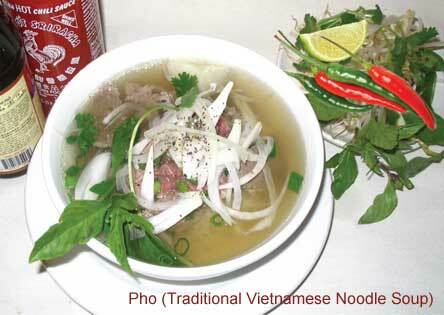 Lemongrass Hot & Spicy Soup (Bún Bò) Noodles with beef, chicken, tofu or vegetables or combination. ​Asian Beef Stew (Bò Kho) Delicious stew of beef and carrots with five spice. Served with rice noodles. Vietnamese Hot & Sour Soup (Canh Chua) Pineapple, celery, elephant ear stalk, tomatoes, basil and jalapeños in vegetable stock. (Optional Thai style coconut broth available). ​ Thuy's Spicy Beef and Oxtail (Bún Bò Cay) Spicy beef shank and oxtail curry soup (very spicy).  Clam, Fish & Shrimp Konji (Cháo Đ̀ô Biển).